Business card plays the messenger of your business that transmits several messages about your company including business quality and services. Therefore, look of business card is important for business. 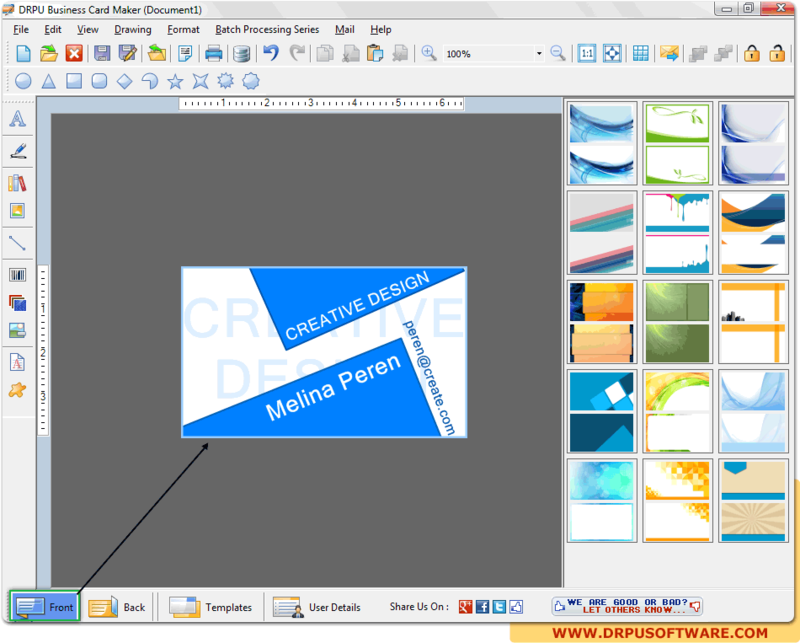 DRPU Software provides advanced business card maker software to design customized business card as per need. Software allows user to design and even print their own business cards using inbuilt printing settings. Business card maker software generates business cards from your Home or Office PC. Design business cards, visiting cards with the use of Business Card Maker Software. Software provides advance image designing tools to create business cards. Design business cards in variety of shapes including rectangle, ellipse or rounded rectangle. Process of designing and creating premium business cards is easy without any expert support. Option to take print of created business cards with flexible print settings.